Coach Boyd is about to celebrate his 20th year as a coach, and has coached college and university teams, as well as being on the coaching staff of National League teams from Under 14 to Senior Men level. He is currently the Under 16 Boys Head Coach at Gloster Jets. Alex supports Gloucester Rugby, loves stand-up comedy and tells a few bad jokes of his own! Coach Smith has been involved with regional teams as coach and manager for 15 years, the South and East regions as well as the South West. One of the original Area Performance Centre from its inception in 2005, she relocated to the Isle of Man in 2007, but has made the monthly trek back to the South West to support the regional programme. She aims to “help all players to improve as individuals and to play effectively as part of a team”. Brenda, unsurprisingly for a resident of the Isle of Man, is a big TT and Superbikes fan, and enjoys competing in her local darts league. 2016-17 Roles: RPC Head Coach (Girls), Head Coach U17 Girls Regional Development Programme, Great Britain Under 16 Girls Apprentice Coach. After a successful junior career as a player in his native Portugal, Coach Moreira began coaching in 2003, and now has 5 years’ experience as a National League Head Coach. He is currently Under 18 Men Head Coach at Gloster Jets. RDP and RPC Head Coach since 2013, he spent two years with England Under 15 Girls, and in 2017 was on the staff of the Great Britain Under 16s. Along with Coach Chris Bourne, he shares the responsibility of aligning our regional programmes with current national team trends. He aims “to be the best that I can be and to work for the players”. Carlos really hates flying: not a good thing for an international coach with family in Portugal! Coach Cole, a sports psychologist by profession, has been coaching for 3 years, including two years on regional programmes, and is currently Under 16 Boys Head Coach at Gloucester Saxons. His aim, in the South West programme is to help all players reach their full potential and to achieve their ambitions through shared player-coach goals. He believes that there should be equal playing opportunities for players of both genders and all ages within the region, and that will support the development of more national team players from the South West. 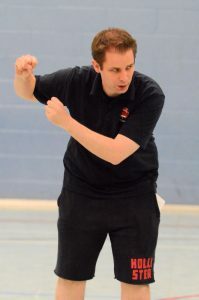 Adam’s personal ambition is to coach on national team programmes to help develop young athletes from around the country. Coach Hooper is in his first year with the South West programme, but has 7 years’ coaching experience at school and National League level. 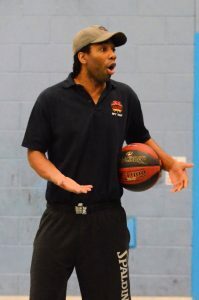 He is currently the Head Coach of the successful basketball programme at Bristol Metropolitan Academy. Prior to his involvement in basketball, Tom was a pro footballer with Newport County. Coach O’Callaghan began coaching in 2013 and was named as West of England Young Coach of the Year in 2014. 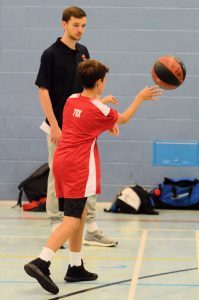 He is currently U13 Head Coach at Worcester Wolves, and begins his first year in the regional programme. He will be taking some time out to continue his studies in Australia at Federation University.